RT Modulus - another stylish template from the studio RocketTheme, working on Gantry Framework. The template has an intuitive interface, a color flexible modular design and contains 12 color styles. In recent versions of the template integrated developer extensions. Design template has adaptive layout, supportive and responsive to the touch of your fingertips on mobile and tablet devices. 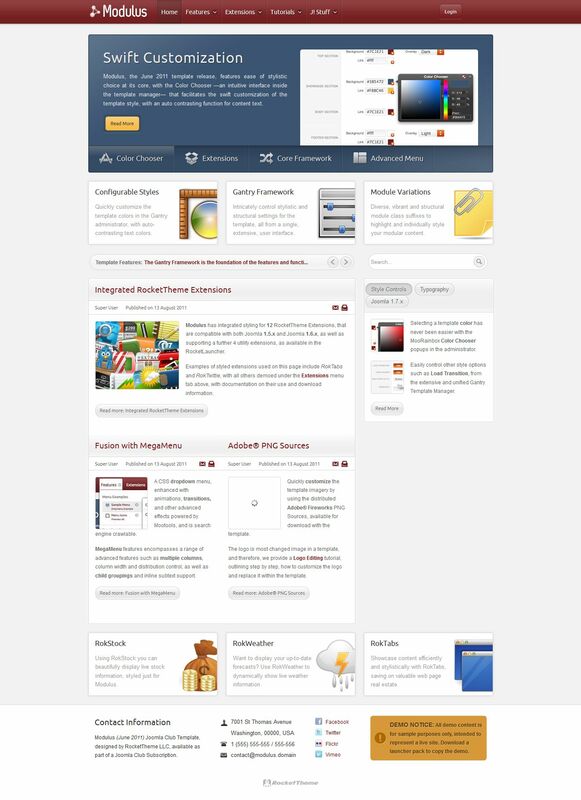 RT Modulus is the best solution for creating websites on any topic and functional structure.